Doctors Hospital now offers Mako™ robotic-arm assisted surgery to help relieve chronic knee pain associated with osteoarthritis. 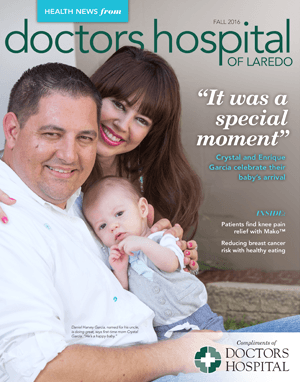 First-time mom Crystal Garcia shares her experience of delivering her baby at Doctors Hospital. Anyone affected by heart disease can benefit from Doctors Hospital's new Heart Patient Support Group.